I got a DAITH piercing! - Cherry Colors - Cosmetics Heaven! I got a DAITH piercing! Ever since I read that a piercing can make your migraines go away, I knew I wanted to have it. 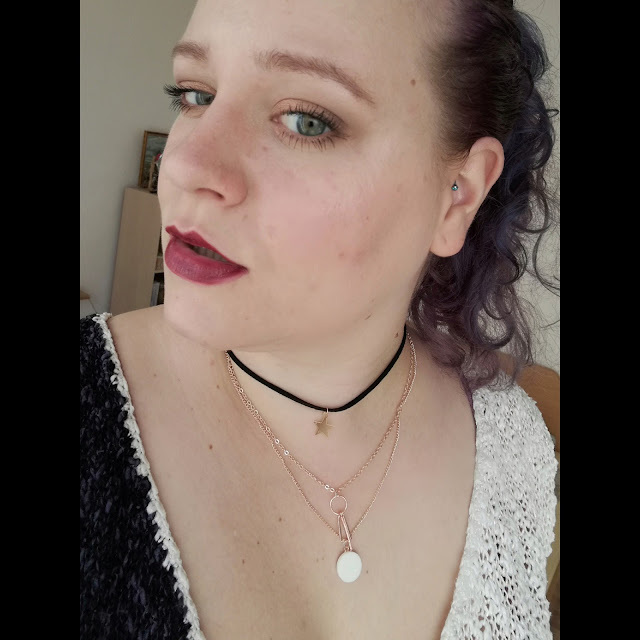 Because why not, I am all for shiny new piercings and if they do something extra the better! And so I got it - a daith piercing. Getting one was a no brainer. 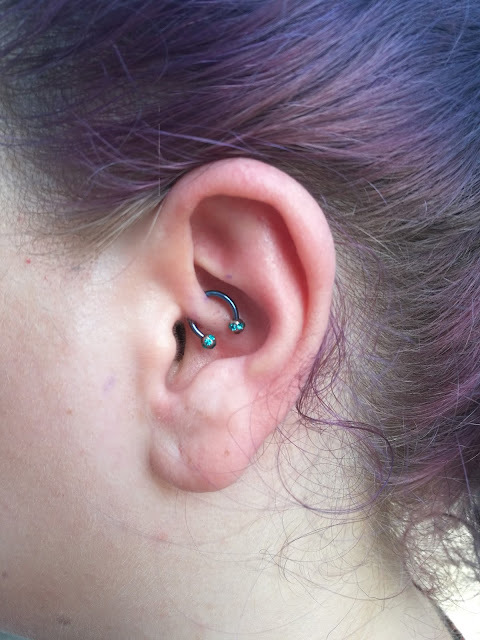 I was even thinking about getting a helix, maybe an anti-tragus but after reading so many posts about it being great for migraines, I had to have it. I don't know if I ever was this nervous about a piercing and it was all because I didn't feel my tragus when I got it done and I somehow knew that this one would be different. The piercing part was ... fun. Okay, I got grumpy and quite irritated because the thing *hurt* as the needle went through the cartilage. But luckily that took only a couple of seconds and I was done. I sweated from under my eyes and I didn't know that was possible!! After the ring was inserted I was good to go! 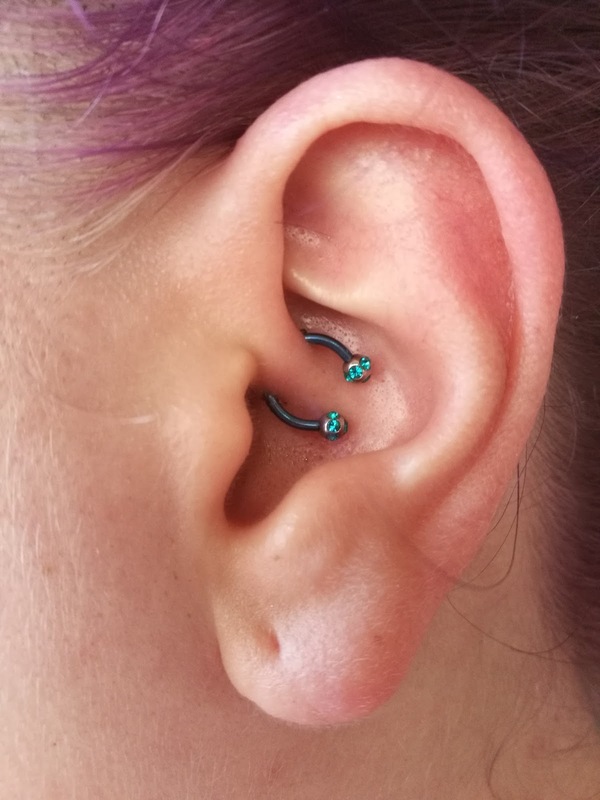 I felt like I overslept on my ear for an hour or so, but the joy of having something new and shiny kept me happy so I didn't mind it. I know the healing time may be long as it is with all my piercings but I don't mind it. The cleaning is easy. 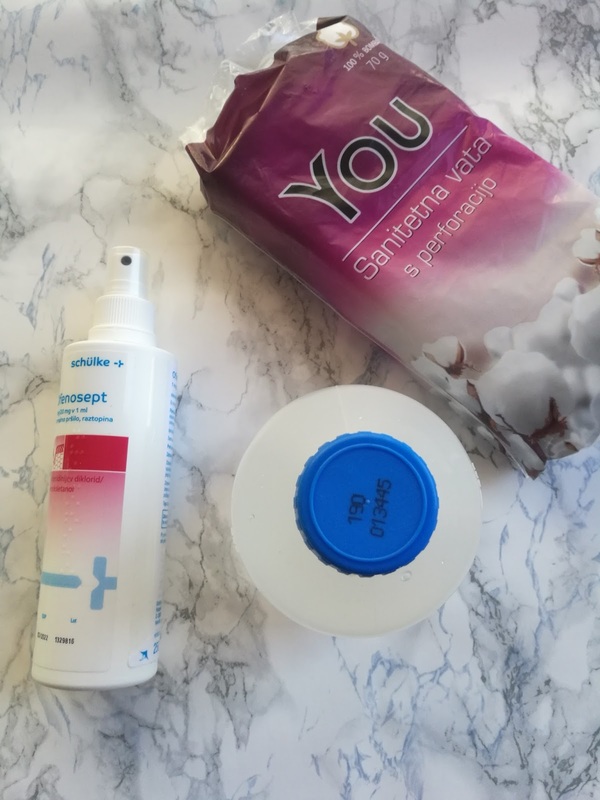 I do a soak (soak a cotton ball, put in on the piercing and let it be for a couple of minutes) about 2-3 times a day and once per day, I use the cleansing spray. It should be used max for two weeks. It's less fuss than it was with my other piercings as I can just kind of stick the wet cotton ball and let it do its job. No fuss :D.
Oh and I can almost sleep on the pierced side. That just didn't happen for about two months with my tragus so for me, this is a big deal! It's been almost a week and I can't wait for the time I'll be able to switch this little gem for a prettier one (not that this one isn't but you know me, I like to change my jewelry). So far, everything is going fine. I even dyed my hair in the meantime and it went absolutely without a problem. Love it! Well sadly and luckily I can't say anything about them. I rarely get them, a couple of times per year and nothing too bad. In the end, I'm happy that I had it done. Do you have one? Would you consider getting one because of migraines?